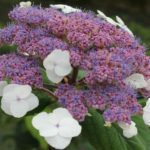 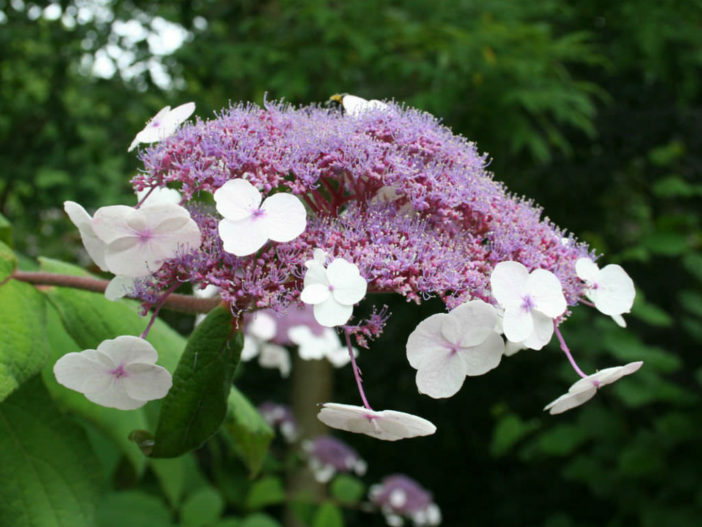 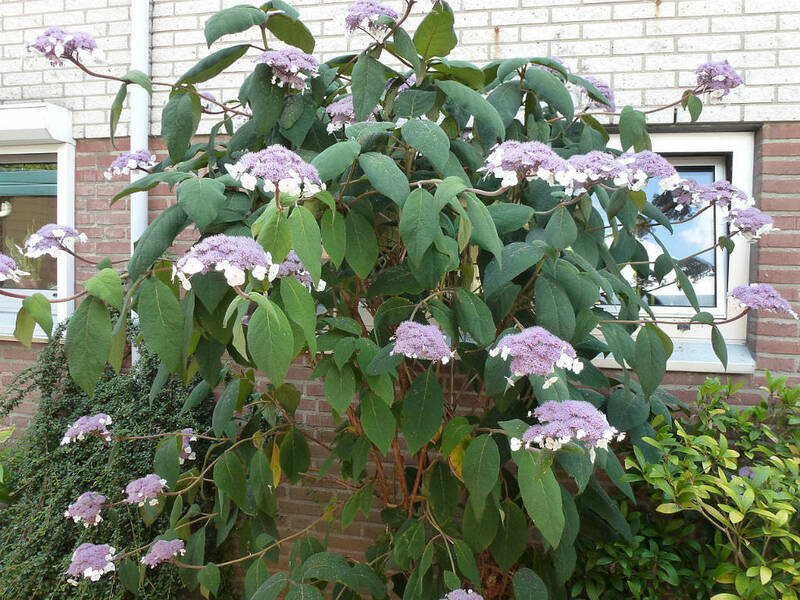 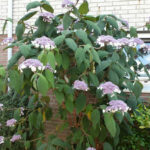 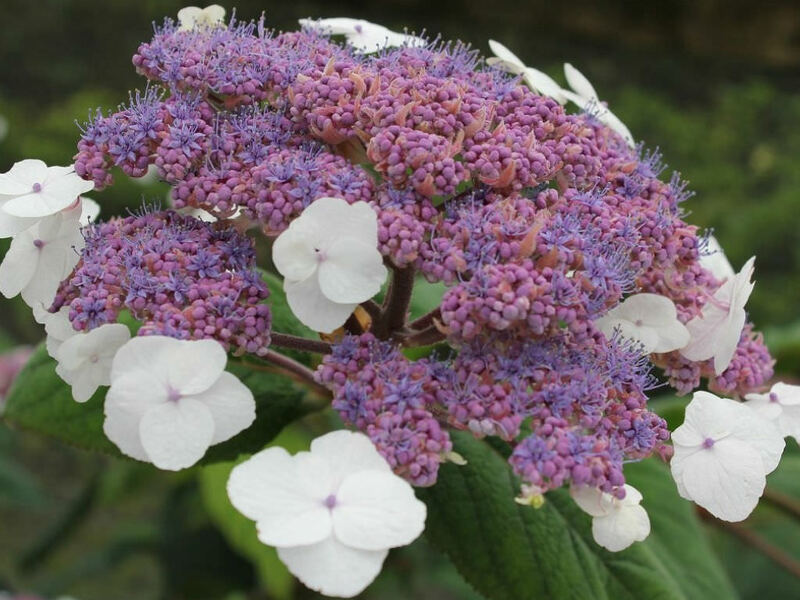 Hydrangea aspera is a large, erect, deciduous shrub up to 10 feet (3 m) tall and wide, with broadly oval leaves. 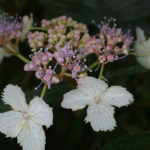 The flowers are typically borne in large flat heads in late summer, and are in variable shades of pale blue and pink, fringed by white or pale pink sterile florets. 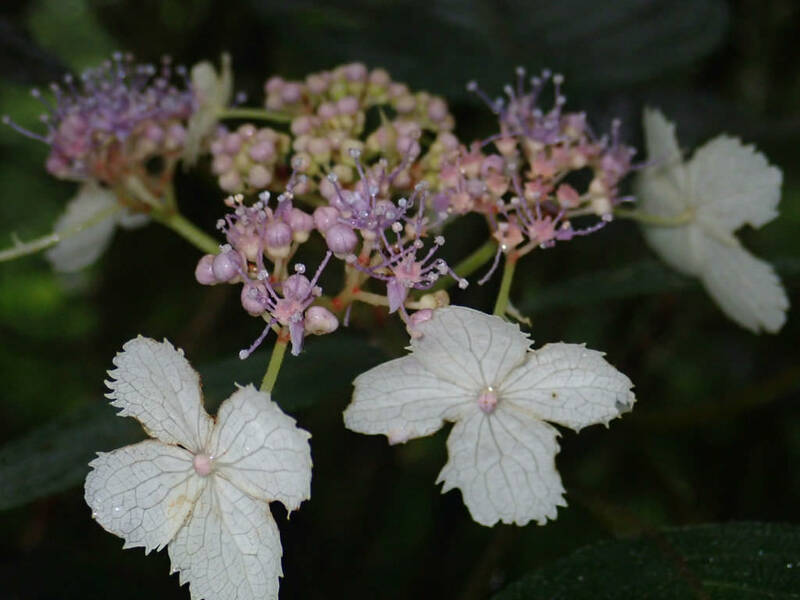 It is native to the region between the Himalayas, across southern China, to Taiwan.